Our experience in heart anatomy and physiology allows us to explain complex cardiovascular conditions and treatments. 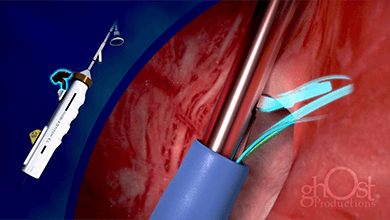 Take a look at our reel to see some of the latest advances in coronary treatment and technology. 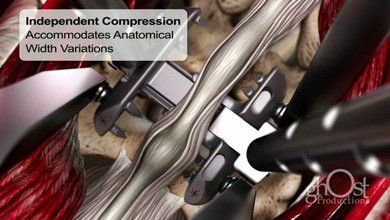 Using spine animation to explain spine surgery is where we’ve laid our roots. 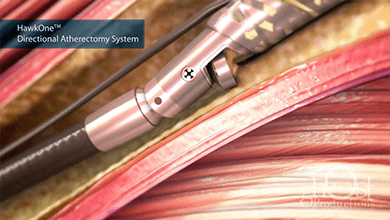 We’ve been animating advancements in spinal implantation and device technologies since 2004. Allow us to be your strategic resource. Using the finest anatomic accuracy and cutting edge motion picture technology empowers your message. 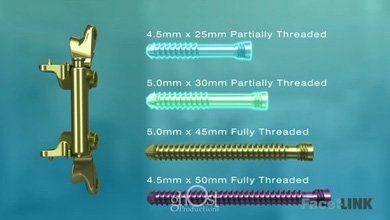 A strategic partnership with Ghost Productions to develop your orthopedic device animations will achieve your marketing goals. Clear anatomic context shows how your medical products are used and navigate inside structures and cavities in hard to see locations in the body like the human sinuses. Building beautiful animations empowers us to help communicate complex concepts like these for the NEI Audacious Initiative to promote stem cell research to cure blindness. 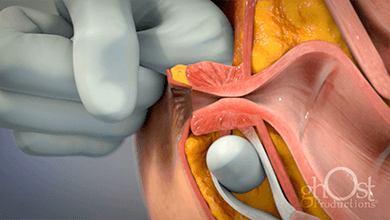 Nothing explains surgical procedures and pharmaceutical products better than 3D medical animation. Computor rendered medical illustrations revolutionized the quality, affordability, and speed of medical imagery. Websites, mobile applications, and eLearning media makes it easy to deliver remote training and marketing media to anyone anwhere. 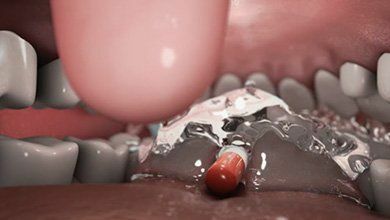 Whether you’re interested in marketing surgical devices, educating patients or explaining the mechanism of action (MOA) of your unique active pharmaceutical ingredient to prospective investors, Ghost Productions is your one-stop shop for advanced medical and science animations and interactive content. Our team of talented animators, artists and other experienced professionals can help you improve your medical device marketing efforts with customized medical videos. 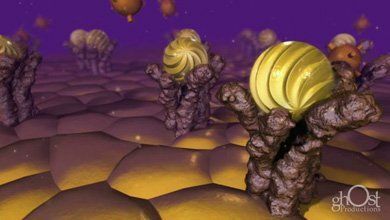 We’re the experts at crafting medical and scientific animations that bring challenging information to life. 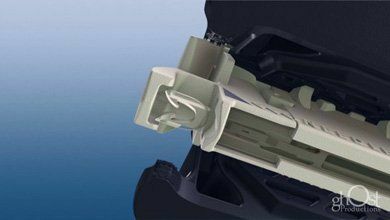 We’ll help you explain medical products, demonstrate surgical technologies, devise medical simulations and more. We can work with any medical industry, and our experience backs us up. A few departments we have extensive experience working within our medical animation studio include: Cardiology, Neurology and Neurosurgery, Trauma and emergency medicine, Urology, Dermatology, Gynecology, Orthopedics, Pharmacology & Molecular medicine. Simple medical illustrations have been crucial to the advancement of medical inquiry, education and training since the time of Hippocrates. 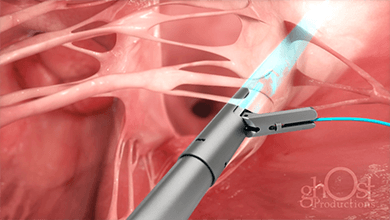 Today’s advanced medical science can now take full advantage of cutting-edge 3D medical animation technology to bring concepts, products and procedures to life as never before. In fact, complex concepts in the science and medical fields are much easier for patients and other audience members to absorb through animated medical videos than text-based information — it’s about 60,000 times faster. – Creativity: We don’t just want to explain medical concepts. We want to tell a story with animated characters that brings your medical services to life in an artistic way, allowing your audience to retain the information longer. Since they’ll have about a 19% higher comprehension than they would with traditional surgical videos, you can expect your customers to remember you. – Customization: Our team doesn’t just work from the information they already have to make a standard video for related topics. Instead, we provide custom medical animation. Even if you have no knowledge of medical animation software, you’ll have significant input throughout the process. We’ll meet with you to take on your specific project and strive to bring it to life with accuracy and quality — just the way you envisioned it. – Increased Sales: Potential customers are far less likely to find interest in your product if sales reps don’t have the enthusiasm or confidence they need to properly present the right information. 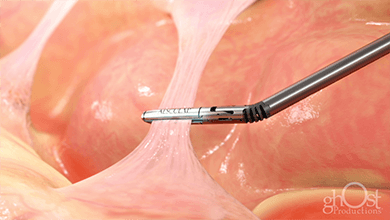 Compelling medical animations generate excitement, so customers are more willing to dive into longer materials later. This first step will give you the necessary boost toward increasing your final sales. 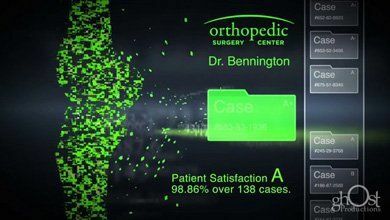 – Exceeded Marketing Goals: The medical animations we provide our customers offer a higher return on investment compared to alternative forms of media. For instance, high-definition images in 3D animation can be used separately in individual medical illustrations used for websites or print materials, like brochures. Overall, this will create a consistent, coordinated brand that draws buyers in and helps you push past your marketing goals. – Complex Ideas Explained: Whether you’re training potential surgeons, convincing patients of the proper treatment path or engaging with investors to grow your business, being able to break complex and technical information down into comprehensible, exciting medical animation videos with an emotional element will help you reach the goal. Once you’ve realized a medical animation company could drastically improve the way you communicate your medical capabilities and services, it’s time to choose the right creative team. 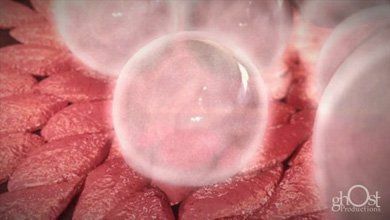 Ghost Productions can produce 3D medical animations that illuminate your devices, procedures, techniques and more, to better achieve your marketing and/or training goals. As videos and other scientific animations increasingly populate social media feeds, it’s becoming more important than ever to remain relevant by investing in quality medical/science visualizations. Modern medicine is a crowning achievement of civilization, adding immeasurably to the quality of our lives – and nothing explains intricate medical concepts better than the dynamic media produced by Ghost Productions. Ghost Productions is a 3D medical animation studio that delivers medically accurate, inspiring graphics, animations and interactive eLearning content. 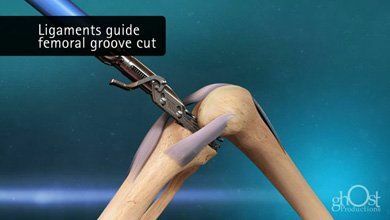 Ranked among the top medical animation studios, Ghost Productions crafts superb 3D medical videos that help explain surgical techniques, implants, and medical products. 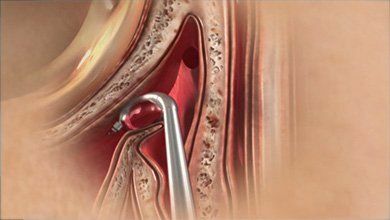 Our 3D medical procedure videos can convey your message quicker and more clearly than traditional surgical videos. When you decide to partner with us, you’ll be able to trust our experience and industry expertise. We’ve been in business since 1994 and have more experience using advanced technologies to explain medicine than any of our competitors. Let us help you harness the power of 3D motion graphics to convey your important information rapidly and memorably. Contact us today and we’ll partner with you to help you achieve your medical marketing and training goals, first by providing a free project estimate and proposal. We’re passionate about medicine and dedicated to producing media that helps demystify medicine. With Ghost Productions on your team, you can be sure your story will be conveyed in a highly comprehensible, eye-catching manner.